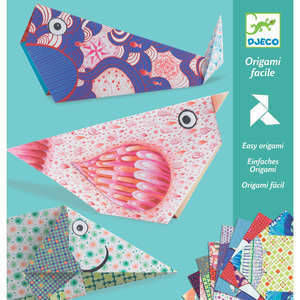 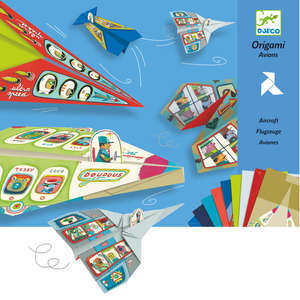 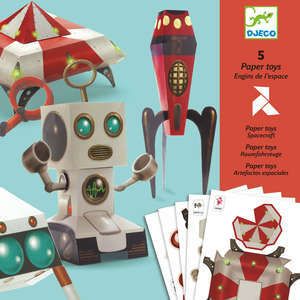 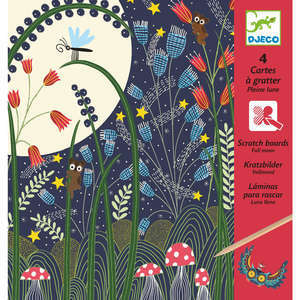 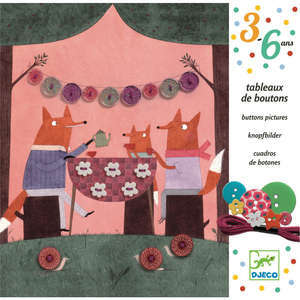 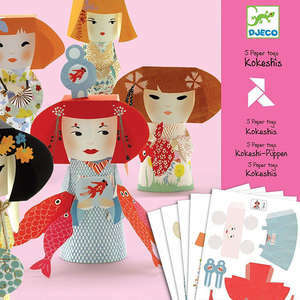 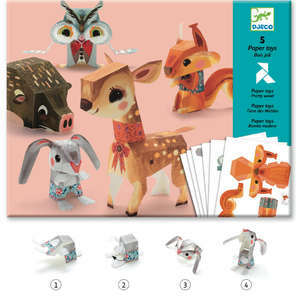 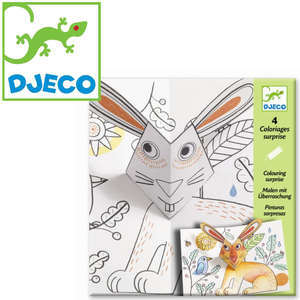 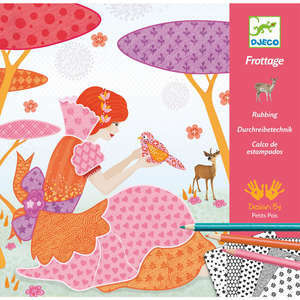 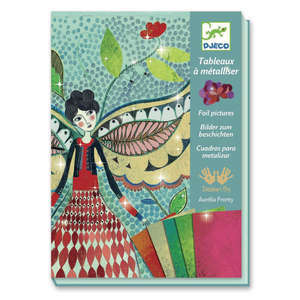 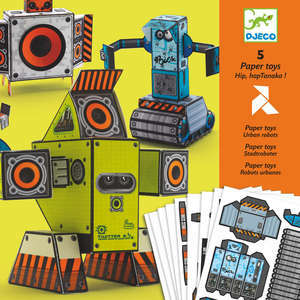 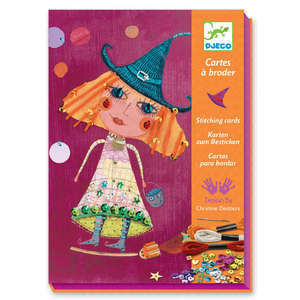 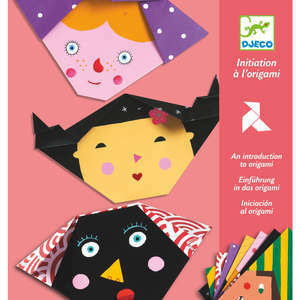 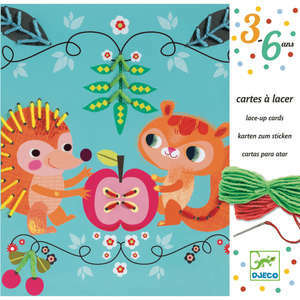 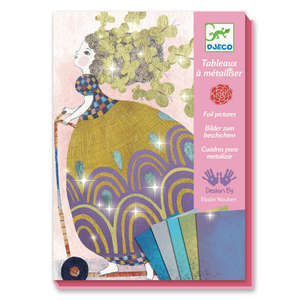 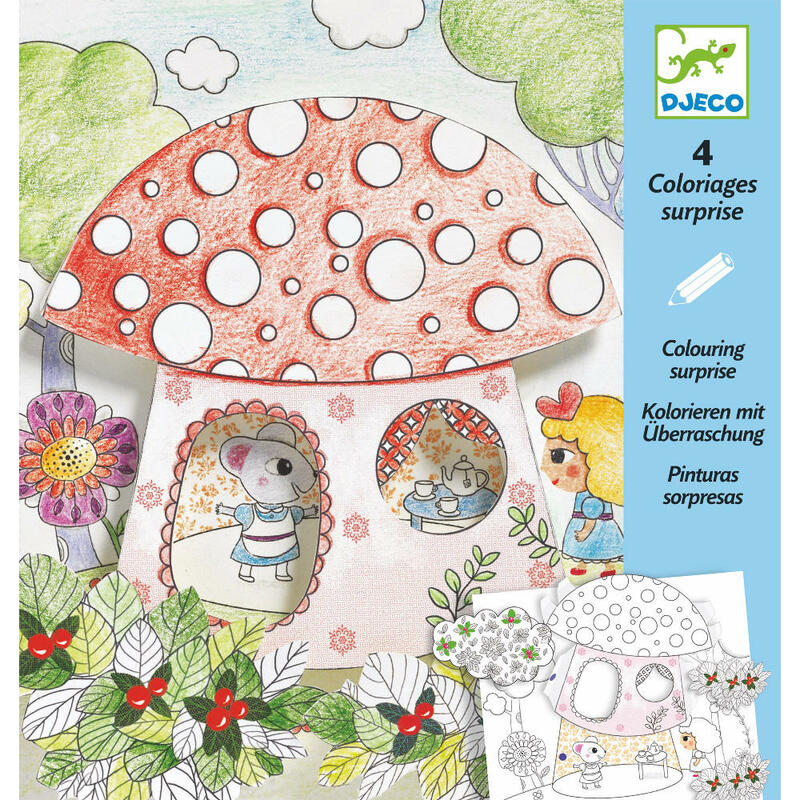 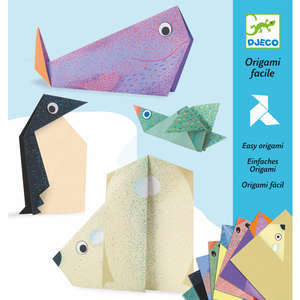 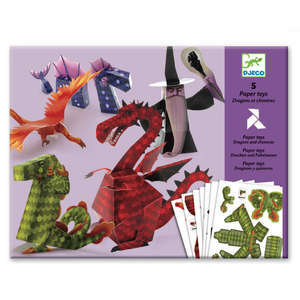 Pretty three dimensional colouring paper craft kit from Djeco. 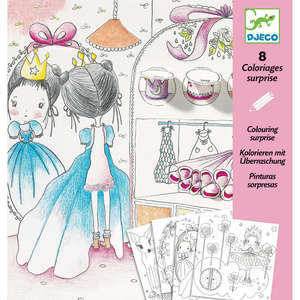 Colour in the backgrounds and 3D pieces before assembling to create 4 delightful pictures. 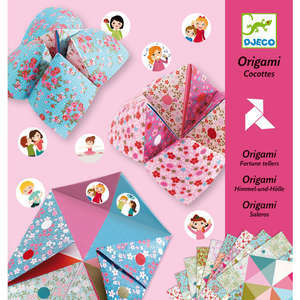 Pack size approx: 22 x 23cm.